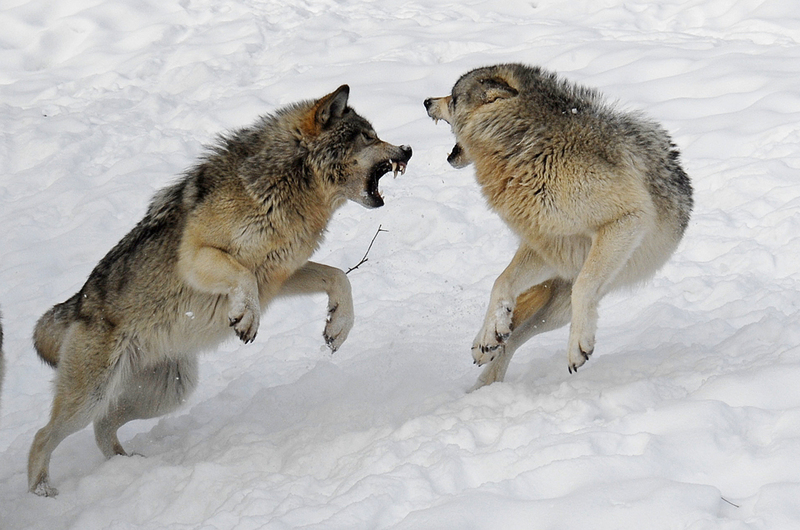 Gilbert Laurin | all galleries >> Galleries >> WOLVES > "Timberland Wolves Fighting For Food"
"Timberland Wolves Fighting For Food"
je vous ais servie a la bay d'hudson ce matin, vous m'avez lasser votre carte et ca valais bien la peine, votre est merveilleux !! Nothing like photographing these amazing animals in winter. Where is this? Have a look, i have a gallery for wolves too.